Yesterday, news came out that Sonic – the Oklahoma-based corporation known for its roller skate scootin’ carhops and supplying enough Route 44s to make every Oklahoman’s blood type “sugar”– is merging with Arby’s parent company in a $2.3 billion deal. 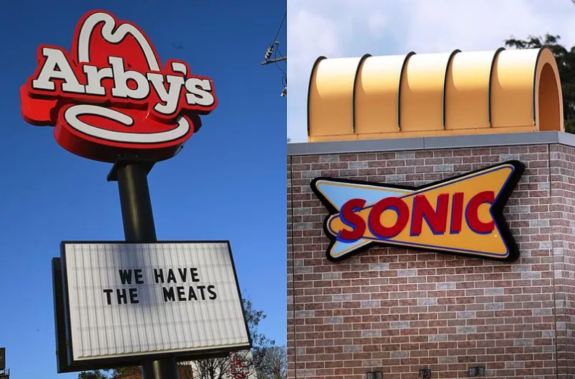 Being that I have an Arts degree and thus have no idea how business works, I am going to assume a merger between the companies means we will soon have a combination Arby’s/Sonic eatery-a “S-arby’s,” if you will. Here are six items we’ll probably see on the new menu! 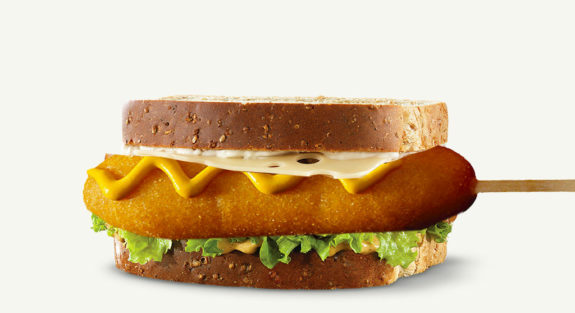 If the chefs in the Sonic / Arby’s test lab can perfect this wonder, the fast food industry will never be the same. 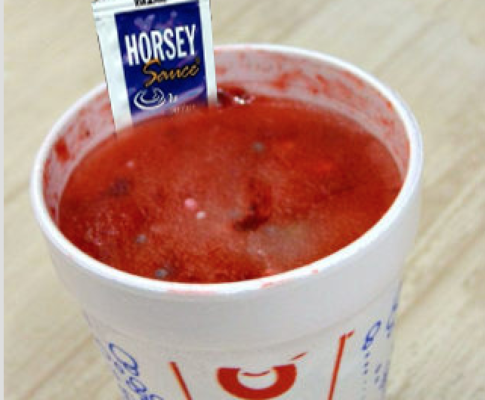 Wish a packet of Horsey Sauce on the side, this slush would combine the sweet, tangy taste of Arby’s sandwich sauce with the cool and refreshing icy burst of the Sonic Slush. Don’t even act like you wouldn’t try it at least once. This sandwich combines the 8-ounce slab of the roast beef and cheese like substance you know and love from Arby’s with the illusion of health you get when your order fried Sonic chicken strips wrapped in a tortilla. With the combination of chicken, bacon, and beef, I’d say you’re getting a lot of bang for your buck, but the only animal that doesn’t seem to be represented within the tortilla is a deer. 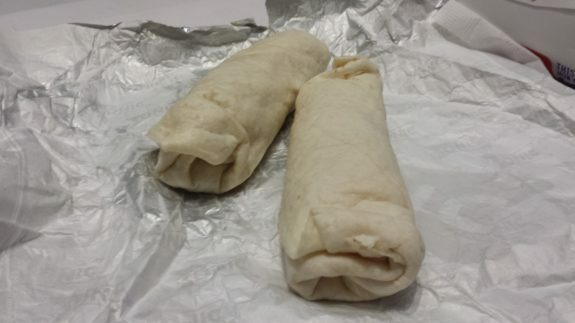 Arby’s Market Fresh sandwiches are delicious and extremely unhealthy. They might as well go all out and throw a corndog on it. 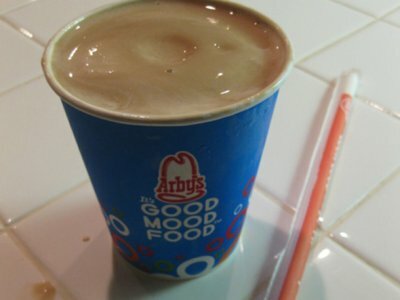 The Arby’s Jamocha shake is a classic dessert/drink/cheat meal that has blessed the chain’s menu since the 1970s. And why not celebrate the combination of the corporations with the time limited Blue Coconut Jamocha Shake? Like with everything good, classic, and nostalgic, it’s about time Arby’s let their corporation ruin their iconic shake by coming out with “limited edition” Sonic-inspired flavors that nobody has ever asked for. 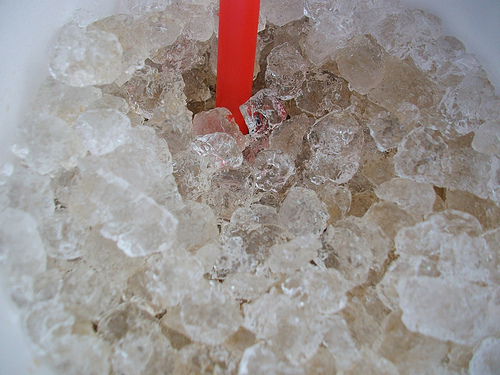 As someone who can honestly say they have refrained from ordering a drink with their Arby’s combo meal so they can drive 3 miles out of the way buy a Dr. Pepper with the “good ice” at Sonic, I can’t tell you exactly what it would mean for me if Arby’s adopted Sonic’s ice. But I’m guessing it would mean at least $5 in weekly saved gas money. I would eat a foot long chili cheese roast beef coney and curly tots off the bathroom floor at Edna’s. Come to Moore. We had the good sense to build an Arby’s right by the Sonic so you’re onion rings don’t get cold. Can’t wait till they follow the YUM! Brands model & combine both in one location. Don’t laugh. 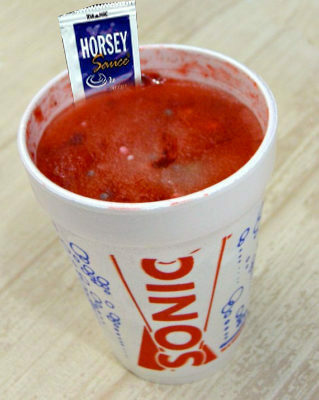 Ever been to the Loves/Sonic at the I40 Hinton exit?? I would eat those. Lots of those. Take some home to freeze then eat later. Die in bed – maybe worth it. I’m with Steve, but in another house with stronger plumbing. The company taking over also owns Buffalo Wild Wings. 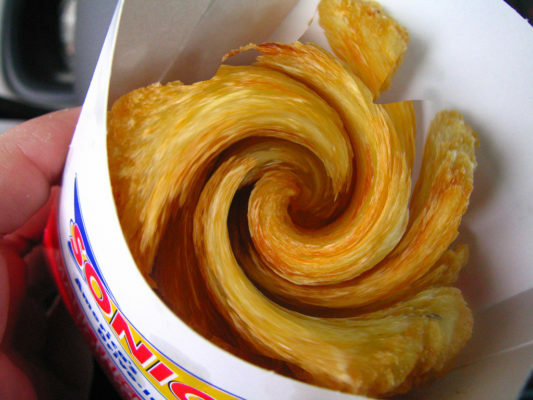 So now, Sonic sell decent wings instead of whatever it is they have now. But please, oh please, tell me they’re getting rid of those two morons that have been in about a million Sonic commercials. And I don’t mean the blonde from Ally McBeal either. Half-price roast beef night! Coming to an Arby’s near you!